I just wanted to thank you for everything leading to the purchase of our Safari Gazelle. 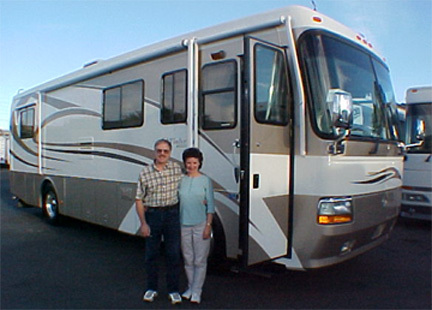 We were a little leary of buying a motorhome on the internet from a company we had never heard of and in another state. But you did a super job and upon Dave’s arrival we found your honesty in everything you had told us about the RV. Thank you for that. We would highly recommend you as a salesman and Pedata rv center as a dealership to anyone wanting an honest deal on an RV. The Gazelle is just gorgeous and we can hardly wait to take our first trip! It was a pleasure doing business with you and thank you for everything you did for us. You made it happen! your involvement with us had end. 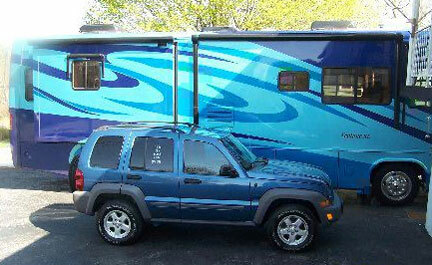 I would like to “Thank You” for helping with the transfer of the funds from the sell of my motor home. Everything went as you said. It’s nice to be able to do business with a Man’s word. In todays world that is hard to find. Your honesty and word will not be forgotten. anywhere else to get the deal of a lifetime! We are finally home from our round a bout visit to Tucson. We had a memorable trip and enjoyed everything.. Thank you so much for your part in making the purchase of our motor home a delightful one. We are really enjoying it and expect to be for many years to come. After leaving Tucson, we stopped along the way including three days in Nashville and then two weeks with our daughter in Michigan..Everyone loves the motor home and you’re right, it turns a lot of heads. Again, our thanks to all of you. I’m including a picture of our new van.. Anyone would think that we like blue. was worth flying 1600 miles to buy it! pictures of the coach “sold” it and the staff was the best! were very happy when looking for a unit with Bob Sutherland & Jerry. brought her out of the garage and took her for a ride. upmost respect. Thank God for this accidental assurance! purchased a 1996 Holiday Rambler from your sales facility. and made for a speed sign. 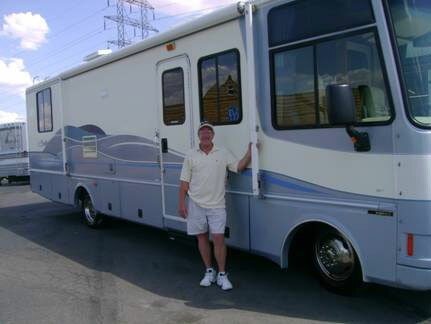 My purchase with Pedata RV was a most pleasurable experience.